Variety. There is something extremely special about being able to see the likes of the river cutting through the gorge, an open lake, wooded roads and trails, as well as marshlands – all within the same little area and in a reasonable amount of time. 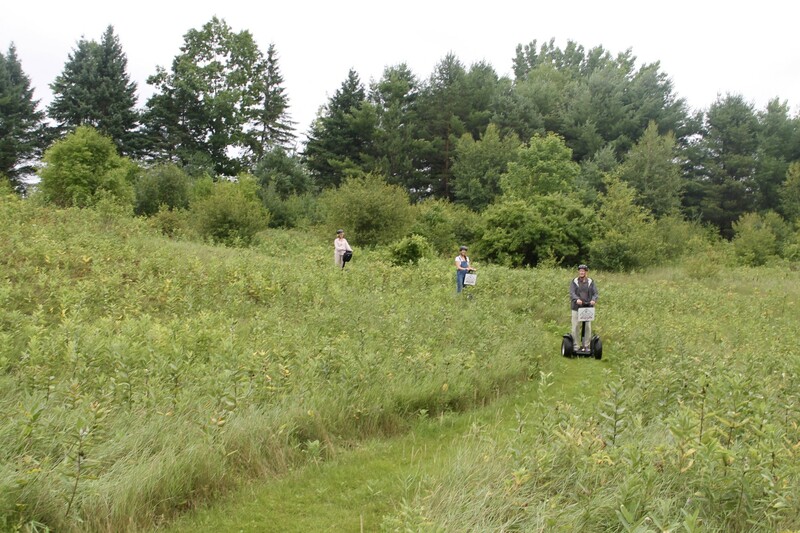 The segway tour allows you to see so much more than you could ever find walking or driving. Walking involves damp marshlands and wooded trails over multiple miles. In addition, you are unable to drive to many points of interest on this tour. 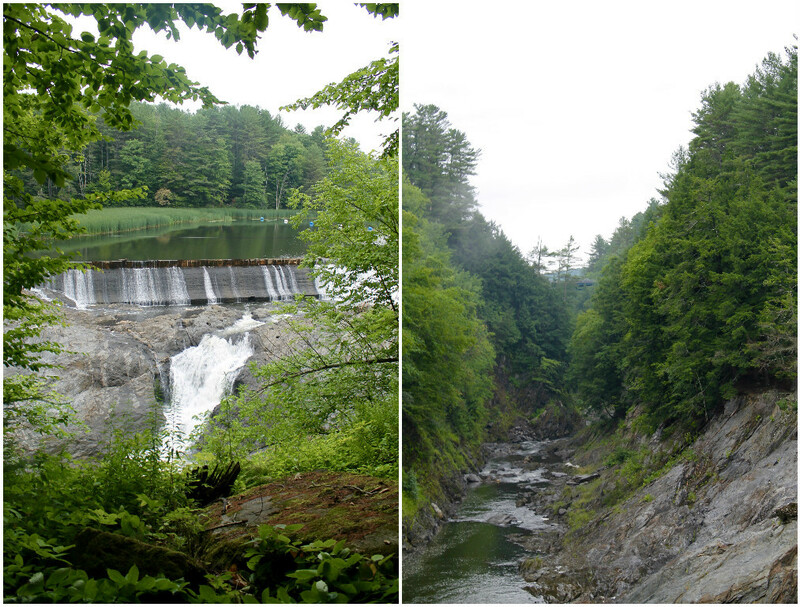 The Quechee Falls, for instance, are viewed by what we’d guess to be 1 out of every 100 people visiting the gorge, as the falls are not visible from the Quechee Bridge itself. 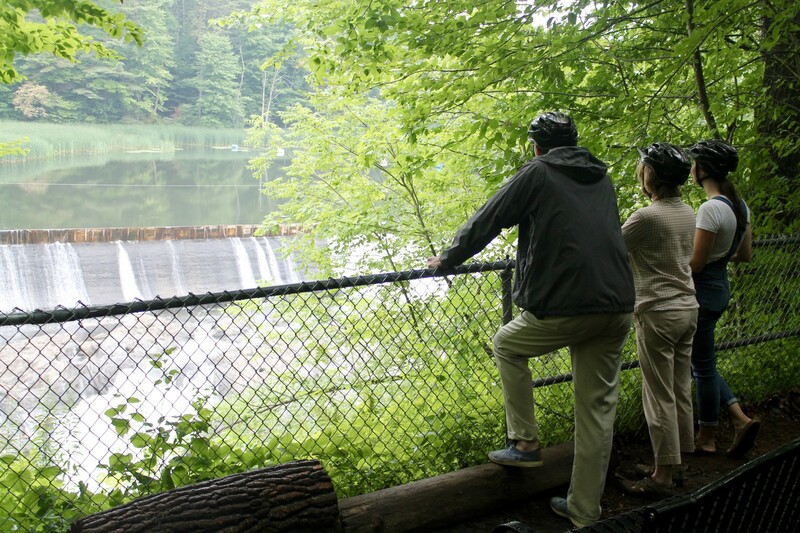 Tour guide and Quechee Segway founder, Gary Neil, however, brings you to the back of the gorge to fully appreciate the beauty and impact of the Quechee falls. 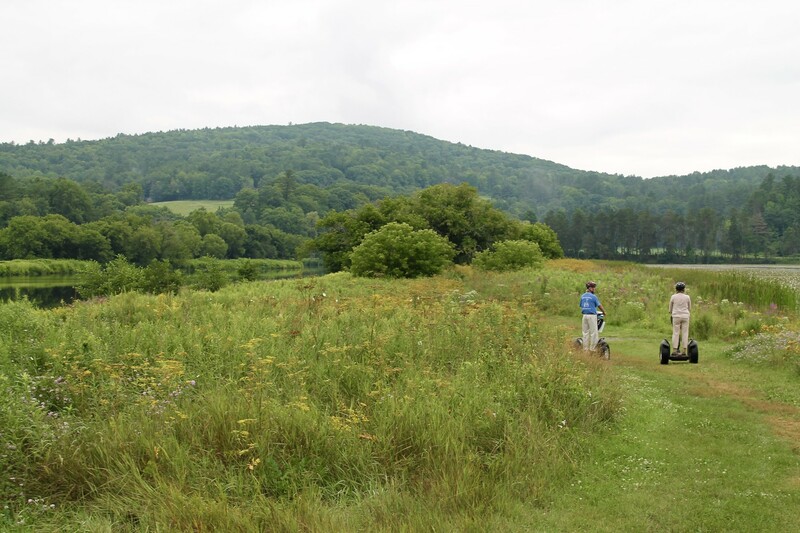 Other attractions on the tour include the gorgeous Quechee marshlands and polo fields (where the ever popular Highland Games are held). We get giddy at the thought of touring with Gary in the fall. Colorful leaves surrounding both the natural and industrial history of Quechee could only elevate this idyllic Vermont experience. Knowledge. We dub Gary Neil a local historian. The beginning of our tour familiarized us with the mill history of the town. 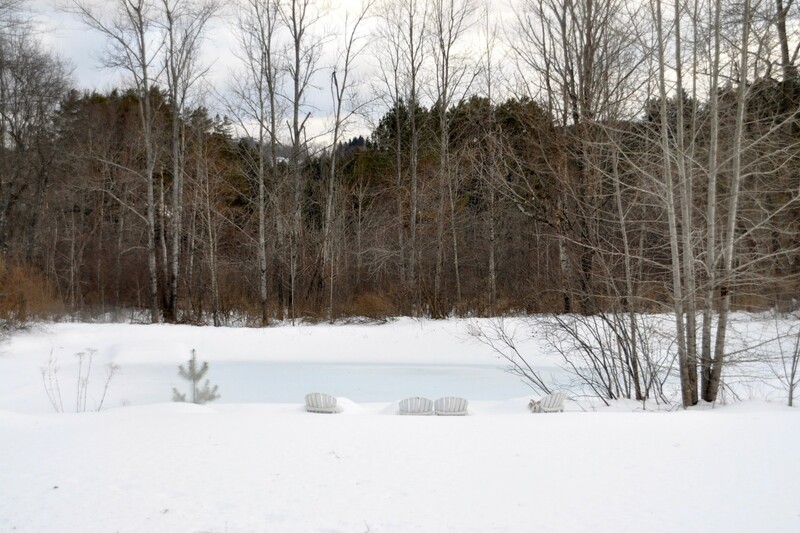 Gary attributes the Dewey family name to various structures throughout the area, including multiple barns and homes. Considering mills were the heart of Quechee in the 1700s, growing traffic to the area caused companies such as Dewey & Company and J.C. Parker and Co. (now occupied by Simon Pearce) to flourish. Such popularization resulted in the construction of the Quechee Gorge Bridge. The original trestle bridge attracted many onlookers, attempting to catch a glimpse of a train loftily gliding across the deep gorge. Gary did a fantastic job of delving into details of the lesser-known history behind Quechee Gorge, also known as Vermont’s Little Grand Canyon. Gary also brings you to the beautiful Quechee Gorge Visitors Center. 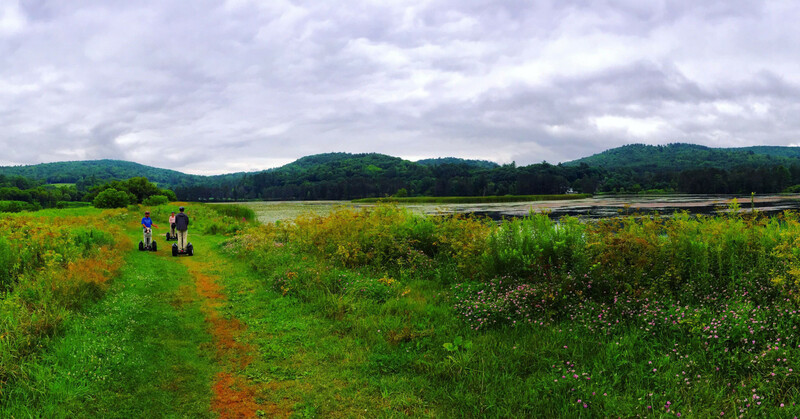 Surrounded by wooded trails itself, the center is a truly great resource for the Quechee area, full of historical photos, local points of interest, and those always helpful roadmaps. Mindfulness. Not only is Gary incredibly knowledgeable about the gorge and its surrounding history, but he is also remarkably patient with his participants. He ensured that each of us felt confident on our machines before maneuvering at higher speeds (12 MPH – watch out!). While Segways may appear mindless, it’s certainly an adjustment getting used to operating these puppies. Originally patented for those in wheelchairs, this technology felt especially keen in sensing our direction with subtle movements. A couple circles around a course of dips, hills, and angled terrain, and we felt completely comfortable beginning the tour. Guided over several tree roots, soaked marshland, and fallen pine needles, we felt in control and thankful not to have to trek through wet or difficult trails. 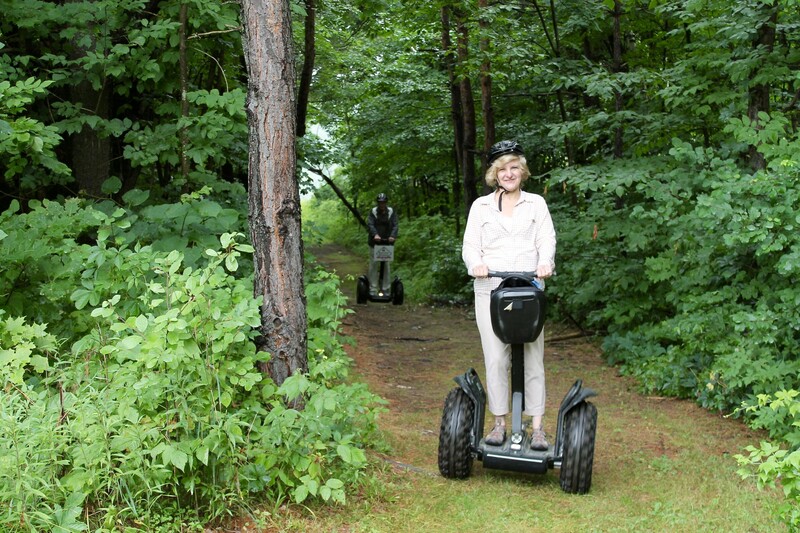 Regardless of the weather or terrain, the segways allow you to tour Quechee on an elevated platform. This in itself made our tour all the more enjoyable. Gary even went so far as to have ponchos for us when it started drizzling. From alternate routes based on your comfort level to offering to take pictures of the group, Gary seemed to think of everything throughout our two-hour tour. Have we sold you yet? 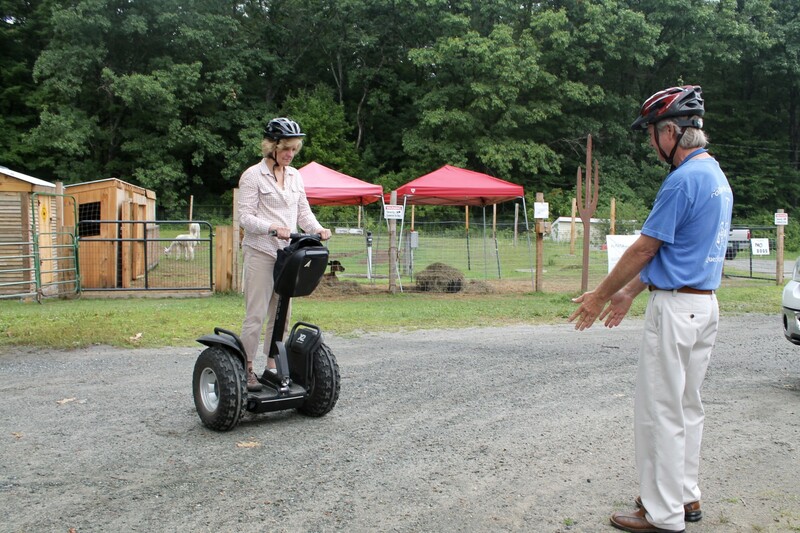 Check out Quechee Segway Tours for yourself! Rent a Segway on your own or tour with a guide. 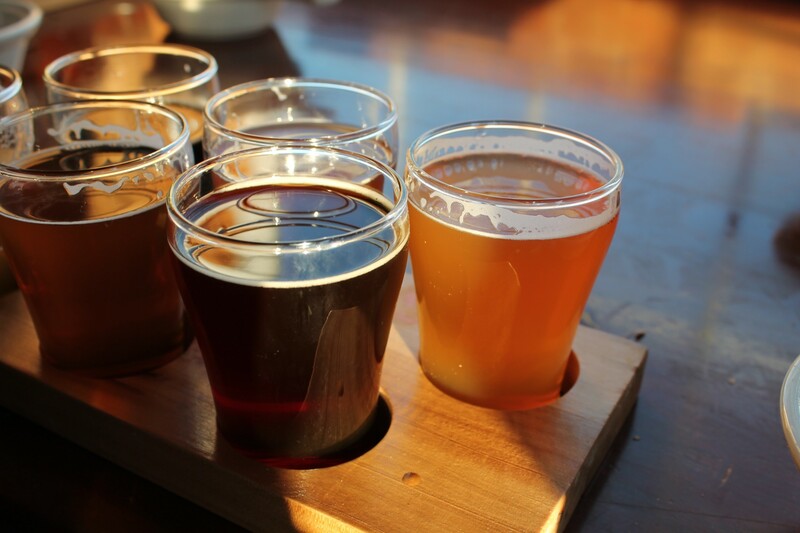 We highly recommend this company as a way to see new and mostly hidden sights of Vermont. 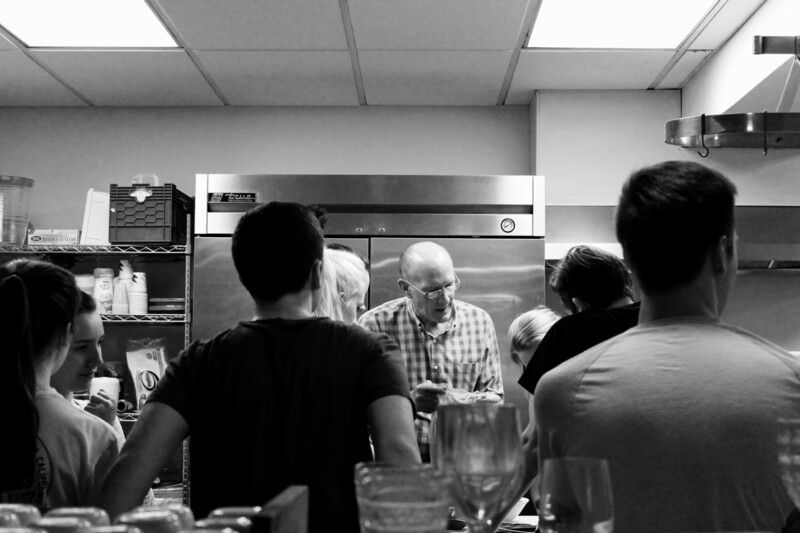 We bet that you’ll have the same eye-opening experience as we did!